One of the reasons why travelers choose to go on a cruise instead of just take the ‘normal route’ to their vacation destination is to get a truly unique experience. Cruise lines rise up to the challenge of this expectation by consistently coming up with new offerings – may it be in terms of activities, accommodation upgrades, or new facilities and features. Anything that cruisers may need and fancy, they make sure to offer. 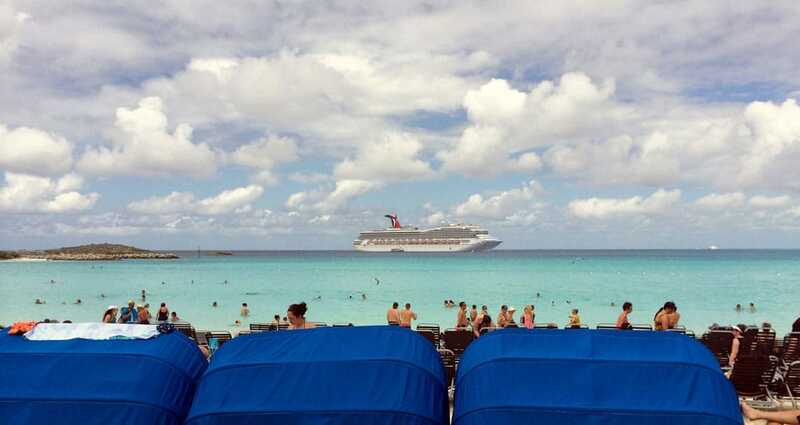 One particular demand that cruise lines have found necessary to answer to, is the need for a ‘beach day’. A time where cruise travelers don’t need to squeeze themselves into a crowded (but popular) strip of beach with other vacationers coming from all over the world. A dreamy private island in the southern Bahamas, Great Stirrup Cay is Norwegian’s pride and joy – and its cruisers’ very own beach escape. It stretches 25O acres, and offers a wide range of activities that cruisers can enjoy during their stay. It has beachfront cabanas for those who just want to lounge around and soak in the sun. For groups traveling with kids, make sure to visit their floating aqua park and entertainment hub. 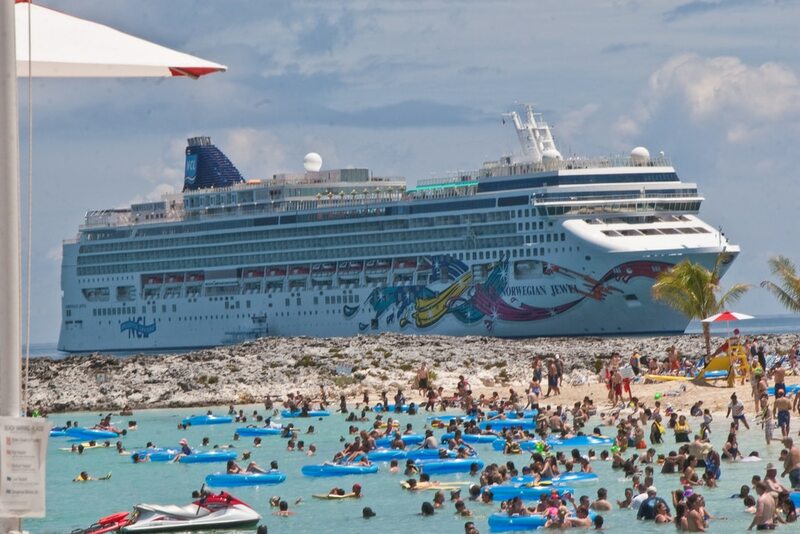 NCL’s Great Stirrup Cay offers activities like parasailing, snorkeling, kayaking, and exciting encounters with the island’s marine life. In addition to a barbecue site, there are several dining areas to literally get your fill of the good stuff. This year, Abaco Taco and LandShark Bar & Grill will be added to its roster of restaurants – guaranteed to tickle your tastebuds on your private island escape! Additional improvements are bound to be available by 2017 – luxury villas, a private party room, a swim-up bar, and so much more. Getting its name from the crescent-shaped strip of beautiful beach, this Holland America Line stop is located to the southeast of Nassau. A true private escape for the cruise line’s passengers, Half Moon Cay sits on glorious 55 acres of awe-striking, developed white-sand beach. The rest of Little San Salvador Island is a reserve for migratory birds, giving you an extra array of sights that are worth immortalizing in photographs. 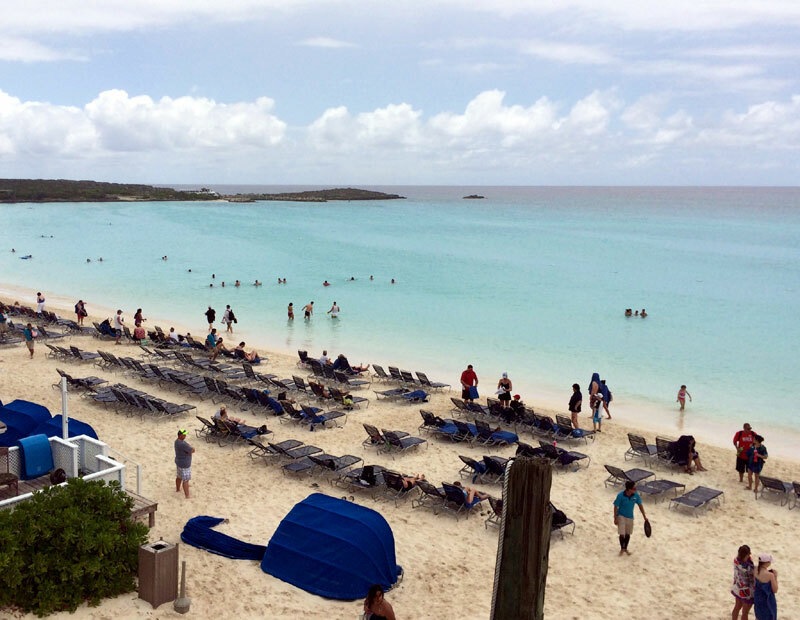 Smaller in comparison, but definitely just as packed with its Holland America Line brand of adventures, Half Moon Cay promises thrilling times for the cruise line’s passengers. Relax and enjoy their air-conditioned beachfront cabanas. Top-notch butler service is also available on the island – ensuring that your experience stays luxurious even when onshore. If you want to have a little ‘party’ or special celebration, they have a cabana that can accommodate 25 people – and it comes complete with a hot tub and private bar! Their onshore activities include horseback riding, watercraft tours, jet skiing, kayaking, and more. Need a place to enjoy with the kids? Try the Half Moon Lagoon Aqua Park, where water toys and slides promise to induce laughs and giggles from your little ones. Dining venues offering mouth-watering dishes also abound on Half Moon Cay. 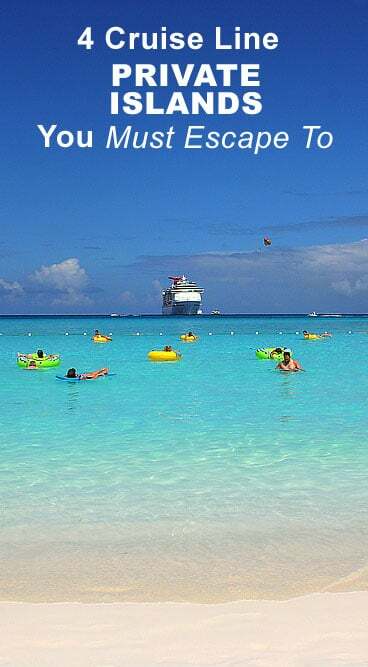 As if a Disney Cruise is not enough of a whimsical adventure, the Disney Cruise Line has their very own Castaway Cay as a port of call for their passengers. This private getaway offered to Disney cruisers sits on 1000 acres of a fascinating Bahamian oasis. Its turquoise waters, colorful coral reefs, and the rest of the island remain pristine with the Disney Cruise Line’s efforts. 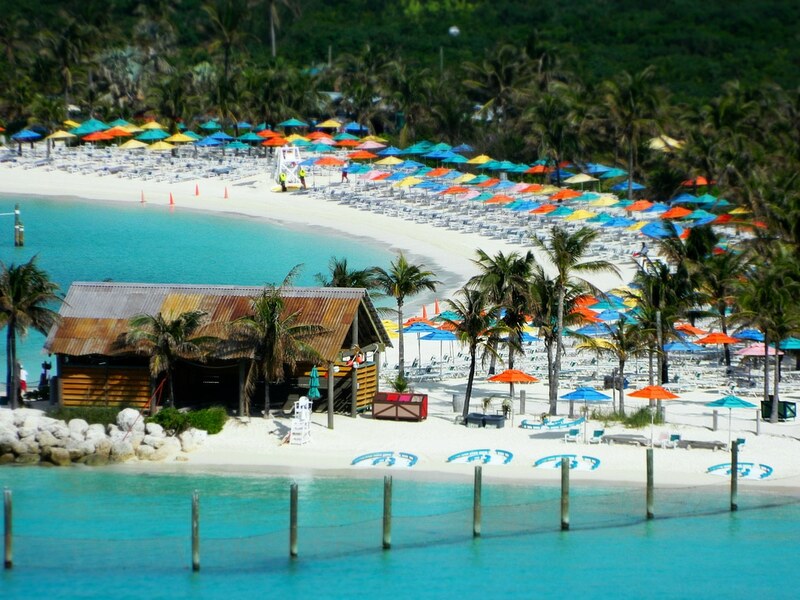 There are absolutely no dull moments on picturesque Castaway Cay. With statues and structures that let you reminisce pleasant Disney memories, it has sectioned areas with age-appropriate activities and amenities. Scuttle’s Cove is for kids aged 3-12, and this area of the island has trained Disney counselors to supervise play and learning in the water play deck area. Child care services is provided here too. Tweens can make the most of their beach time at Grouper Game Pavilion and In Da Shade Game Pavilion, where various games and sports activities like ping pong, monster chess, billiards, foosball, and more can be enjoyed! Mom and dad, along with other adults, can escape to Serenity Bay, where they can have their much-needed quiet time. Passengers can also get their fill of everything Disney at the island’s stores: She Sells Sea Shells…and Everything Else! If you go on a Royal Caribbean cruise, you wouldn’t want to miss out on Coco Cay, the cruise line’s very own private island. Sitting on a secluded stretch of beach in the middle of the Caribbean, Coco Cay ensures you an extra memorable cruise vacay. One of its most popular features is the Caylana’s Aqua Park, a floating playground that boasts 20,000 square feet of water-related adventures for everyone to enjoy. It has a floating sand castle, water logs, water trampolines,a 40-foot waterslide and so much more! 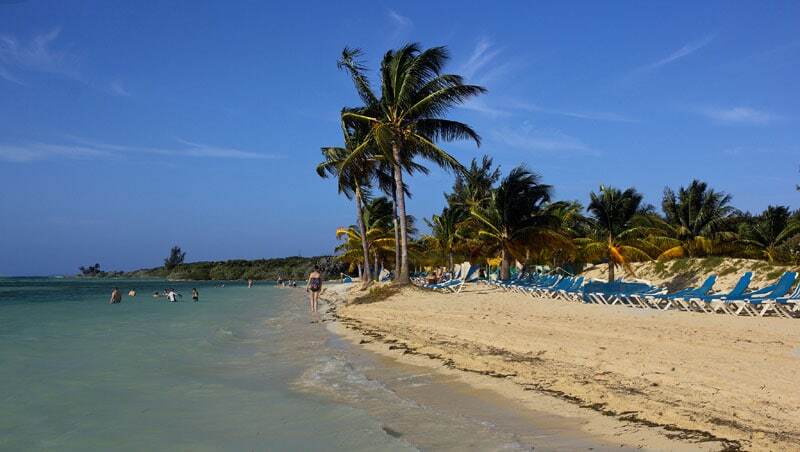 Eco-tours are also offered, so you can get to know more about Coco Cay’s natural beauty. You can add more action to your island time by going kayaking, snorkeling, bike riding, or parasailing. Sit back and relax in the island’s wicker sofas and loungers if you prefer to have some down time and just soak up the sun. Shaded hammocks are also provided for passengers, reserve yours early as they go fast. Personalized bartending service is also available upon request. Escape to these mesmerizing paradise destinations soon, and make the most of your cruise adventure!